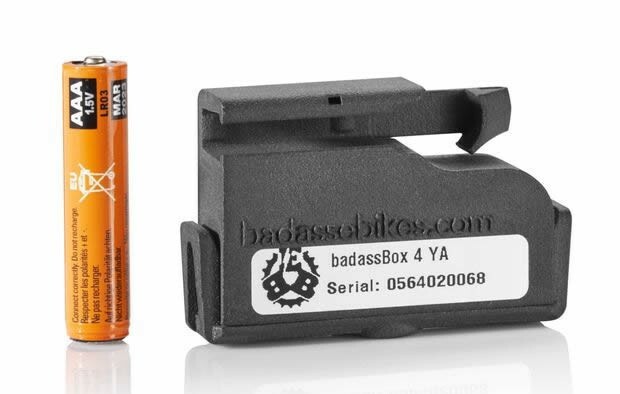 This is the latest and so far best version of the Badass Box especially for electric bikes with Yamaha mid-mounted-engines. With this tuning tool you can completely remove the 25 km/h limitation of the engine support within seconds. If necessary, the E Bike can be returned to its original condition at any time. After the box has been installed and attached to the speed sensor, it transmits a modified signal to the motor. This allows the preset speed limitation to be exceeded. As a result, you can achieve (theoretically) unlimited speed values with full engine support. The changed signal is transmitted without direct contact and without electrical connection to the motor, so that damage to the drive system isn´t possible. Please note: As soon as the tuning has been activated (=Badass Box attached) the E Bike display no longer shows the correct speed (this also applies to derived values). We therefore recommend that you use GPS-based accessories like smartphones or bicycle computers, which are usually more accurate anyway, to determine the real speed. 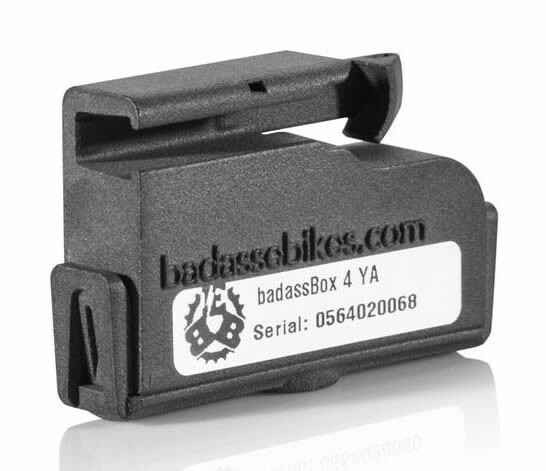 Compared to its predecessors, the new Badass Box 4 comes with several improvements that have optimized this tuning tool in many ways: The housing of the box is now significantly slimmer, so that there can be no more installation situations that are too narrow. Thanks to a new, patented snap lock, the Badass Box can now be attached and removed faster than ever before (the snap lock replaces the previously used O-ring). In addition – due to customer´s request - an additional (optional) fastening via cable ties at the snap lock is possible. 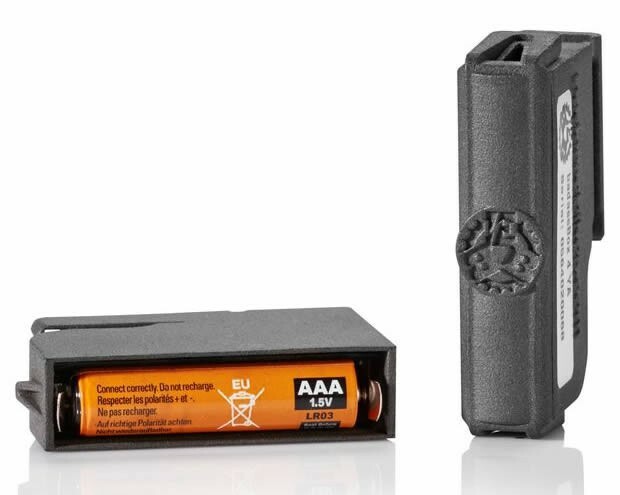 Another significant improvement has also been made in terms of range: The previous CR2 battery has been replaced by an AAA battery, which has a range of over 7,000 kilometres or 1 year (due to battery discharge), thanks to the specially developed and patented FEET technology (“Field Enhancement & Elimination Technology”). Of course, you can change the battery all by yourself without any tools. Corresponding AAA batteries can be bought at practically every corner. In addition, the electronics of the box are glued and sealed in the housing with a special casting compound, so that the best possible protection against mechanical stress and moisture is guaranteed. By the way, every Badass box is tested for correct functionality before and after casting during the manufacturing process. - 25 km/h speed limit is taken away completely. - E Bike tuning without electrical contact to the motor. - Slimmer housing than ever allows easy installation. - The patented snap lock enables you to attach the box or to remove it within a few seconds. - Patented field amplification technology and a new 1.5V AAA battery (IEC R03) provide a range of over 7,000 kilometres. - A casting compound from the automotive industry provides robustness and protection against moisture. - Each Badass Box is double controlled during the manufacturing process. - Dimensions: 61 x 39 x 15 mm. - Weight: Badass Box 27g (with battery 37g). E Bikes with Yamaha drive systems (mid-mounted engines): PW (Powerdrive), PW-X, PW-SE, Yamaha SyncDrive. Since the engine does not have to be opened when mounting the Badass Box 4 for Yamaha, the installation of this tuning tool is very easy and can also be carried out comfortably at home, even by technical laymen. The Badass Box 4 must be mounted via the Yamaha speed sensor next to the rear wheel. Engage the snap lock so that the box is securely adjusted on the sensor. Optionally, you can additionally fix the box using a cable tie, too. During initial assembly you have to replace the original magnet with the spoke magnet supplied. When the Badass Box is not mounted, this spoke magnet works in the same way as the original magnet, but the new spoke magnet is necessary for the patented field amplification technology to work properly with an attached Badass Box. 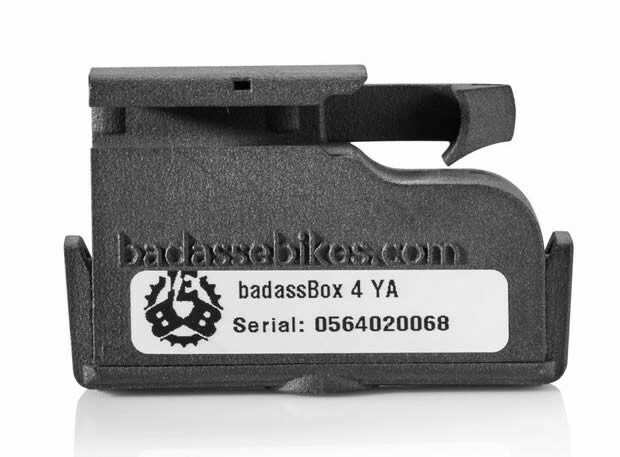 After you have plugged the Badass Box onto the sensor, you must move the spoke magnet towards the edge of the housing in the direction of the snap lock. When the spoke magnet touches the box, you have to place it as close to the Badass box as possible and turn it 90° - now the tuning is activated and the 25 km/h speed limit has been lifted! To deactivate the tuning, simply pull off the Badass Box and relocate the spoke magnet back to its original position - now the E Bike is back in its original state and the engine support stops at 25 km/h again. Tip: Replace the original spoke magnet screw with the supplied Toolfree screw, because this allows you to move the magnet without any tools in the future.